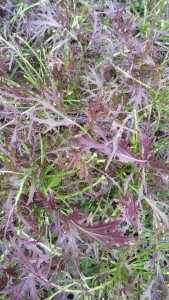 This is a great time of year for our tasty blend of mizuna (a mustard green) and ruby streaks. 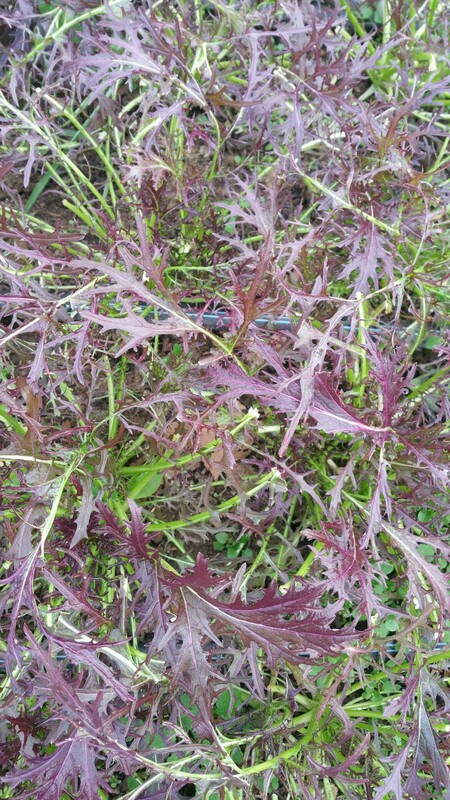 Both are mild Asian greens and they can be enjoyed both raw in salads or cooked quickly in a stir fry, or add it to some soup just before serving. Yum!